Pilgrimage to the Chapel of Sacred Mirrors to join Delvin and a group of conscious learners converging to experience the new edge of permaculture. 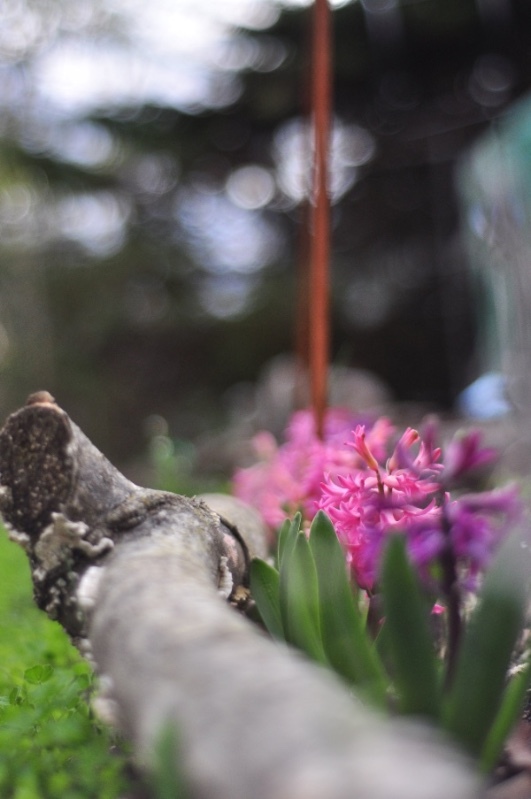 Together we will explore the art and naturescapes at CoSM while sharing in an advanced introduction to some core concepts and creative ways to look at challenges and solutions differently. 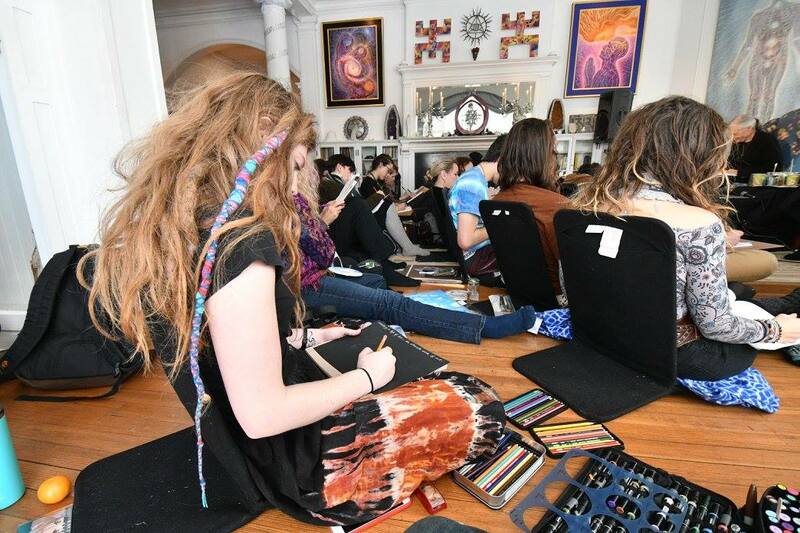 A design charrette will give participants an opportunity to contribute creatively to the ongoing process of permaculture design at CoSM. 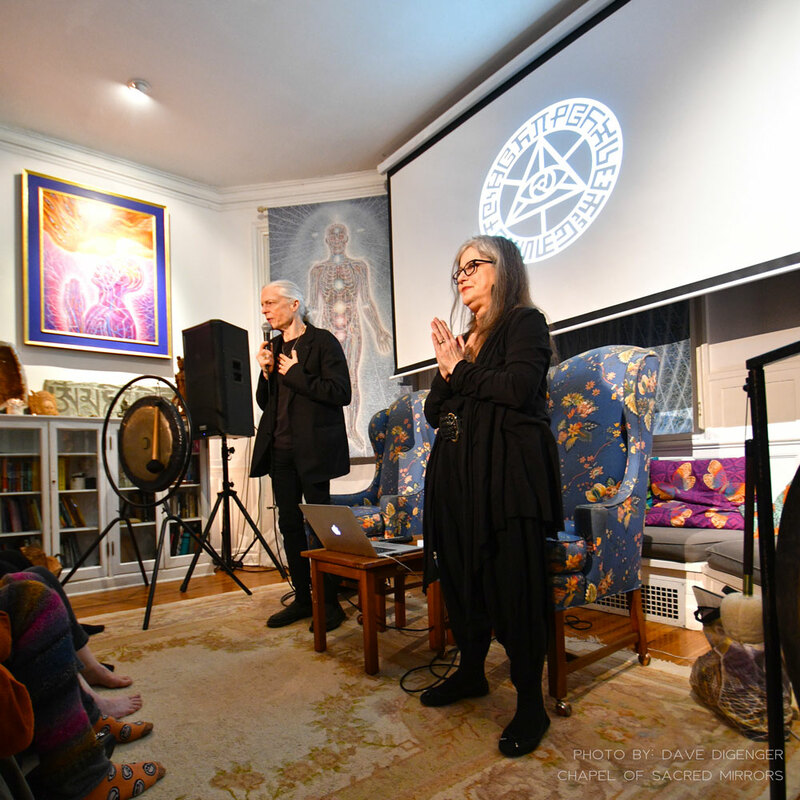 Since 2003, CoSM has held an unbroken chain of full moon ceremonies that honor the importance of cosmic alignment, spirituality, and creativity. We meet on this monthly high tide of the spirit because the full moon is a symbol of the soul, a luminous circle reflecting greater light, just as each of us are Sacred Mirrors of God’s shining presence. 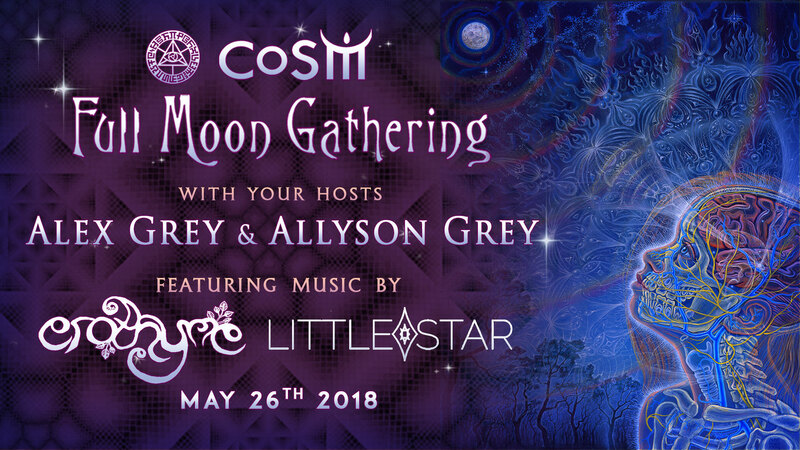 Join us for CoSM’s May Full Moon gathering as we share a weave of sacred paths and the power of love through creative expression. 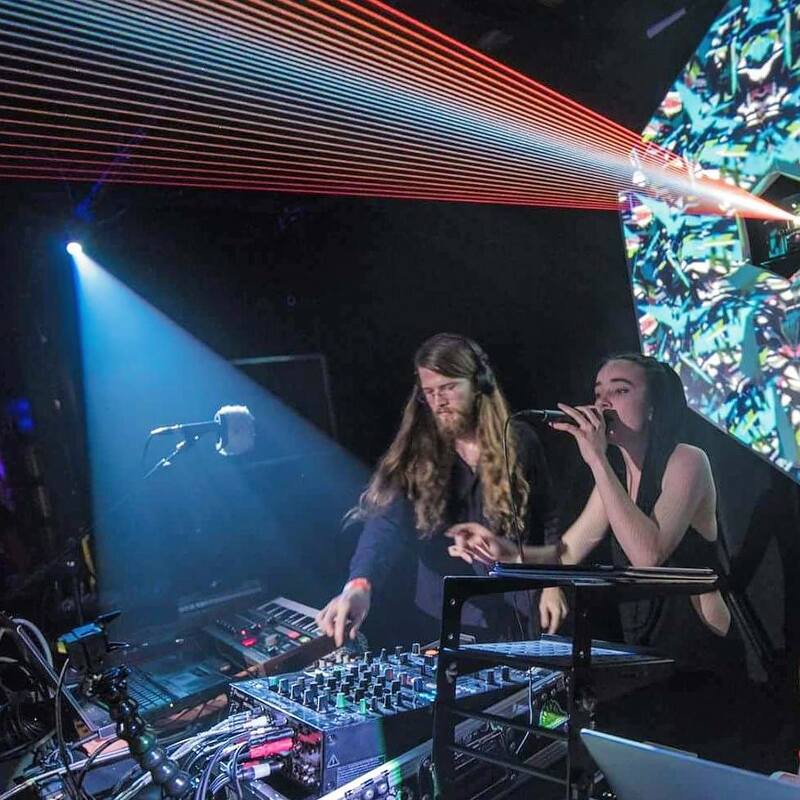 Enjoy downtempo music by Erothyme & Little Star. Live painting featuring, Autumn Skye Morrison, Chris Dyer, Genevieve Wood, Humo Maya, Jamie Mondragon, Juan Carlos Taminchi, Louie Izzo, & Tico Chango. Permaculture Readings by Nature Oracle, Delvin Solkinson. facilitated by Rosie and Mike. 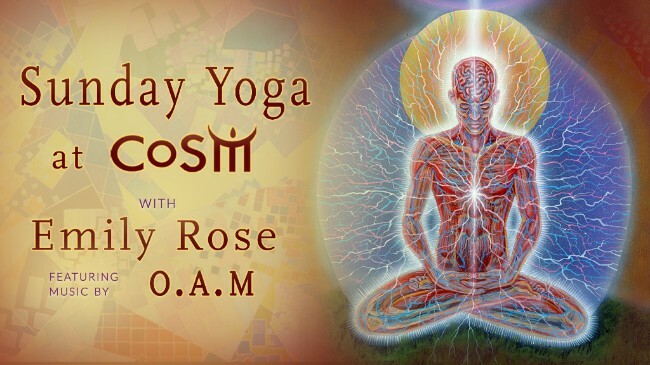 Sunday, late-morning, come to CoSM for the ultimate out-of-body experience, Morning Yoga with Emily Rose. A CoSM favorite, Emily gently guides yogis & yoginis toward their body’s own potential. Through illuminated guidance, Emily leads participants toward rejuvenation on a safe journey to deepen any asana practice. All levels of experience will be comfortably nurtured and challenged in Emily’s yoga class. Yoga begins at 10am, $10 donation requested. Mats available. 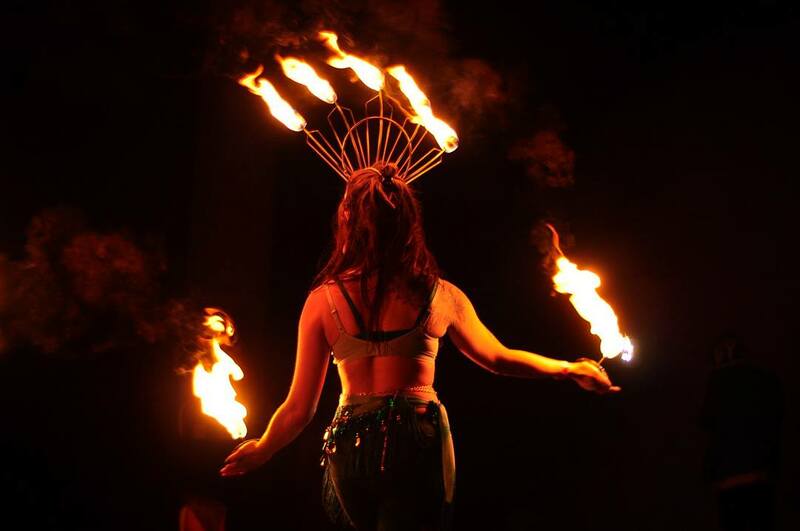 An emerging worldwide Visionary Art Movement is sweeping the internet and festival culture, bringing forth contemporary sacred translations of Mystical Experiences. For many creative spiritual artists, for seekers of the postmodern shamanic journey this growing genre is increasingly relevant. 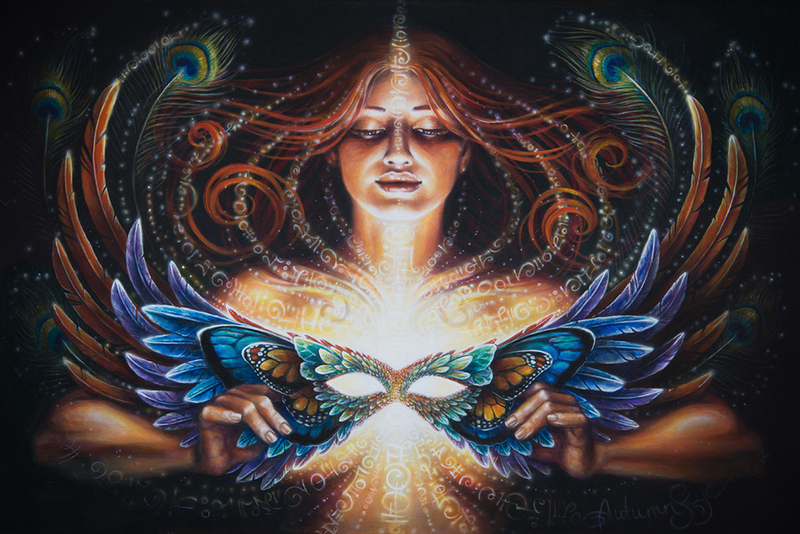 Visionary art encourages the development of our intuitive inner “eye of the soul.” The visionary realm embraces the entire spectrum of imaginal spaces, from heaven to hell, from the infinitude of forms to formless voids. The visionary realm is the space we visit during dreams and altered or heightened states of consciousness. An artist’s mission is to make the soul perceptible. Visionary mystical experiences are humanity’s most direct contact with God and are the creative source of all sacred art and wisdom traditions. The best currently existing technology for sharing the mystic imaginal realms is a well-crafted artistic rendering by an eye witness. 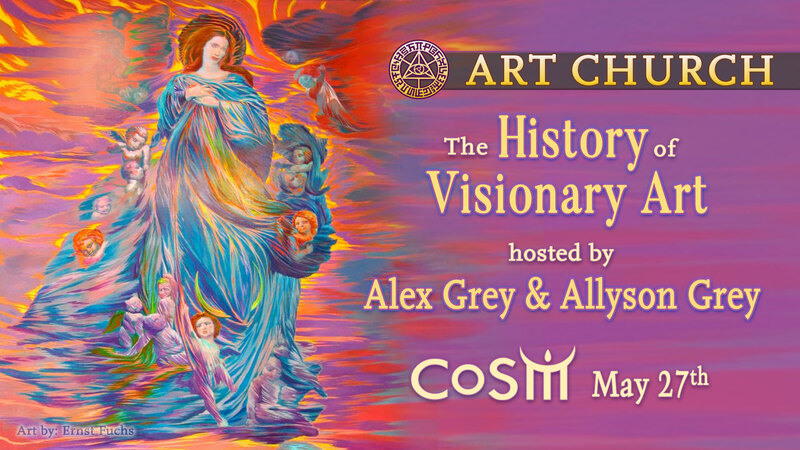 Since mystic visionary artists paint the transcendental realms from observation, their work offers a growing body of evidence substantiating the divine imaginal realms and by extension, Spirit itself. 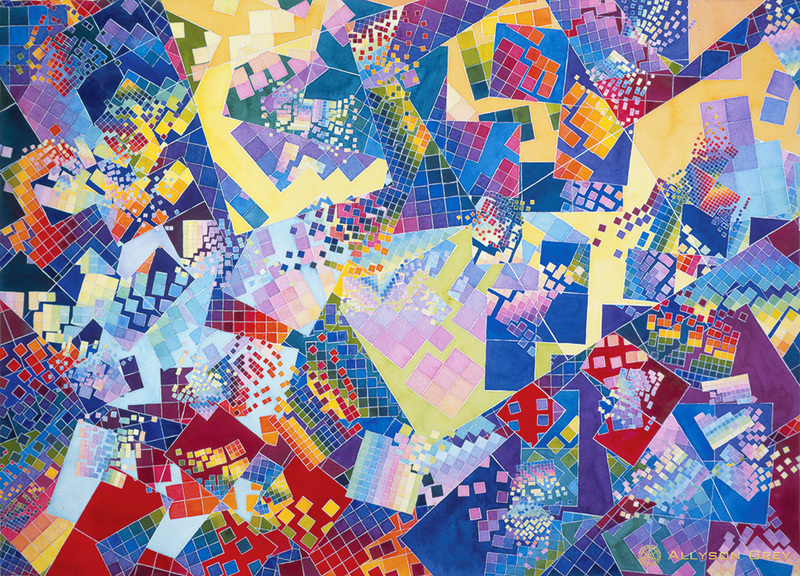 By projecting forms which are crystallized visions of spiritual illumination, Mystic Visionary Art helps engineer higher mind states in the viewer. Relevant Sacred Art renews the subtle light body surrounding and interpenetrating our physical body. Our subtle body is purified, uplifted and healed by visualizing deities and ideal forms. Presence of Ultimate Reality absorbed through Mystic Art helps magnetize the viewer toward their own spiritual template and Supreme Identity. 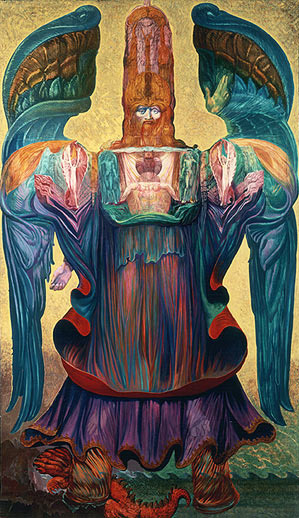 For eons, artists have created images and temples born from their mystic visions. Traces have been left in sacred art the world over; prehistoric human animal hybrids on cave walls, throughout Egypt and Greece, in cathedrals throughout Europe, in Buddhist stupas and Hindu temples. Places of divine remembrance are endowed with imagery passed through a specific cultural lens. 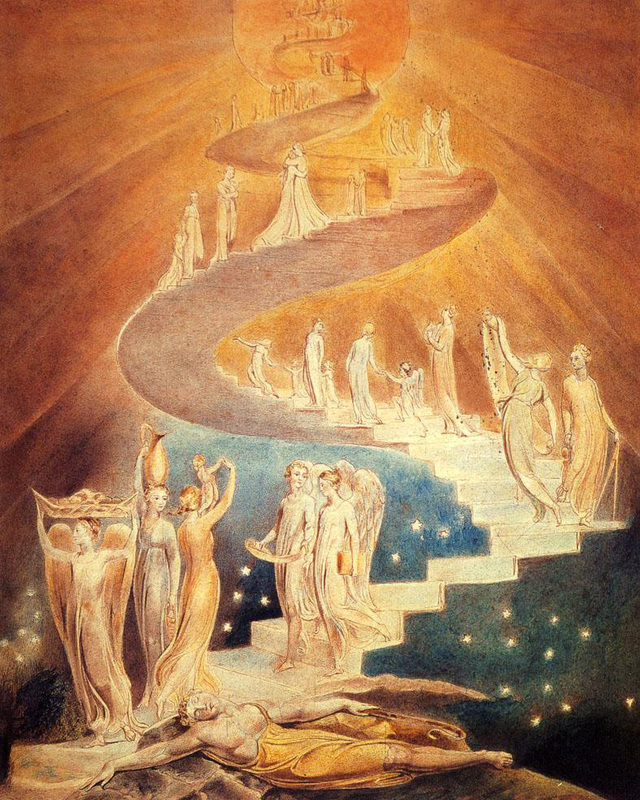 Unique in spiritual history, we now have access to a spectrum of wisdom traditions, connected in the shared truth of love and higher intelligence that founded the universe. Visionary art allows us to see the cosmos, ourselves and others as a reflection of the divine. Bring a sketchbook and colored pencils, pens or a watercolor set. Paper and markers are available.